Fun Depot as you know it has gotten better! Fun Depot, located off I-40 exit 51, is now better than ever due to their recent upgrades and renovations. There are numerous wall murals that are super cool. Walk in to a large waterfall mural to your left and a train crashing through the wall on your right. The two story lazer tag has a new entrance…same great experience on the inside, but it now appears you are walking onto a space ship. Mini-Bowling is now located downstairs and has more lanes and large sitting area. Grown-ups and kids all have been enjoying this fun area. 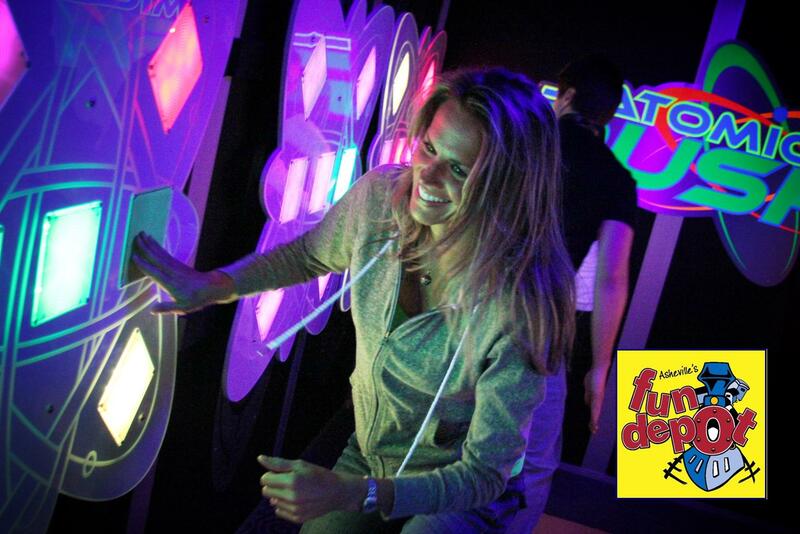 The 18 hole mini-golf course is now cooler with several black-light holes which add to the whole experience. New activities have been added, like the LED light game ‘Atomic Rush’ which you can play with others. They also have Lazer Frenzy where you work your way through the laser beams without touching them. What can you get for your high score? They also have a 360-degree M4 simulator. You pick your experience whether it is flying a jet or going under water, and then sit in the capsule that turns you all around. You can even get a CD of your fun time. Upstairs has been transformed into a wonderful kids utopia. The Kid’s Adventure Express and Tot’s Turtle Lagoon are enclosed areas that allow you to travel undersea or to the rain forest. The Tot’s Turtle Lagoon are for the tots 3 and under. Crawl under an octopus, slide down the coral, or captain your own boat…loads of ALL DAY fun! Adventure Express area is for kids 54” or less and includes a large 7 obstacle inflatable, a large bounce house with mini-slide and basketball hoop, an under the sea soft play area with slides and tunnels, and a rainforest soft play area with a “water” slide, alligator pit, tunnels and more. Lots of new and exciting stuff, but still many of the same attractions and activities that you love, like go-karts (indoor and outdoor), climbing wall, bumper cars, arcade games, Depot Diner, and much more. 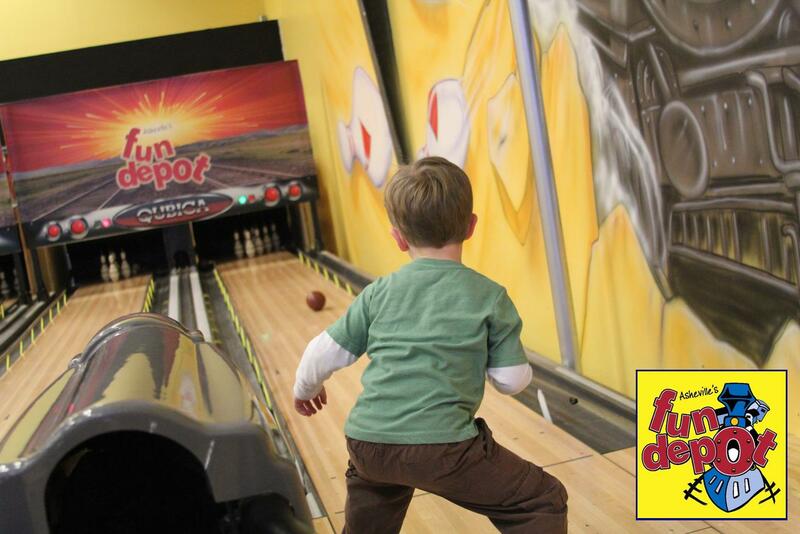 Fun Depot is truly great for ALL ages, so come on over and visit!! Plan your next corporate meeting/retreat here at Fun Depot. Private meeting room, lunch, then competitive play. Great team building opportunities!